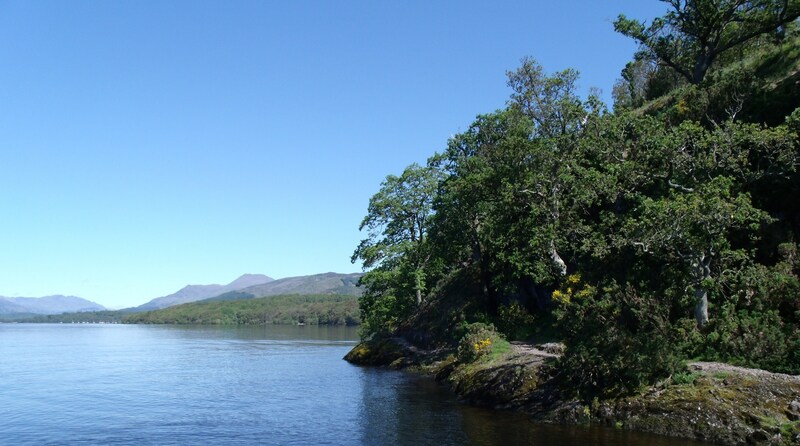 Loch Lomond has many faces, but on the rare occasion that the area sees cloudless skies with no breeze, the loch is at it’s most stunning, whatever the season. This past June, I was fortunate to encounter one such day and took the opportunity to take a cruise on the loch and capture some photos and videos that are breathtakingly beautiful. In July, while not cloudless, the sky was relatively clear of clouds, allowing me to add to my library. 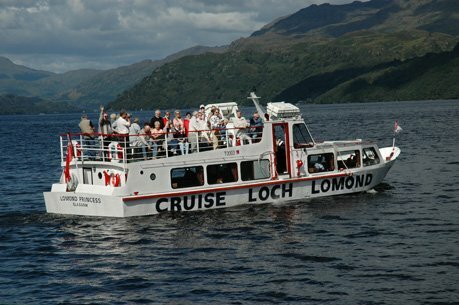 The June trip was on the ‘Lomond Princess’, owned and operated by Tour Loch Lomond, a local company with their headquarters in Tarbet. The second time out was with an independent operator on the ‘Lomond Lass’. 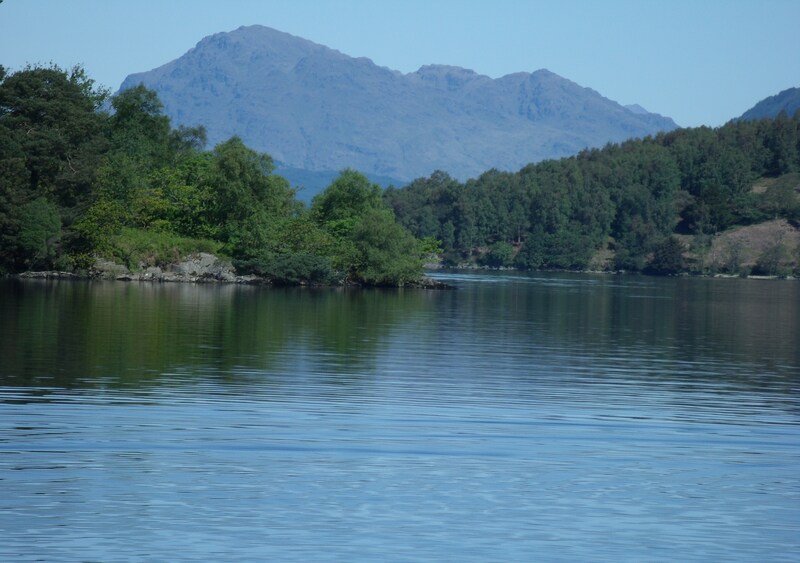 On both occasions we sailed from Luss to Balmaha, stopping at Inchcailloch, Island of the Old Woman. Come on these summer excursions with me and share the feast of summer splendour. 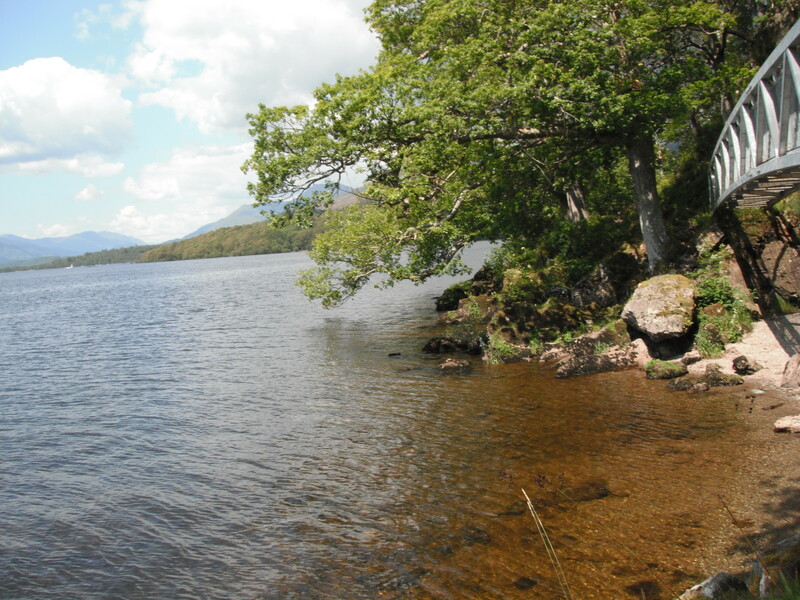 I have repeated the accounts of my travels as I posted them on ‘Loch Lomond, Limericks and Life’ with only minor changes. ‘The Narrows’ is a narrow strait of water between the islands of Inchonnachan and Inchtavannach. Someone, whose identity I do not know, said, ‘Whosever does not know this beautiful strip of water has entirely lived in vain.’ From the language, it must have been one of the ancients. 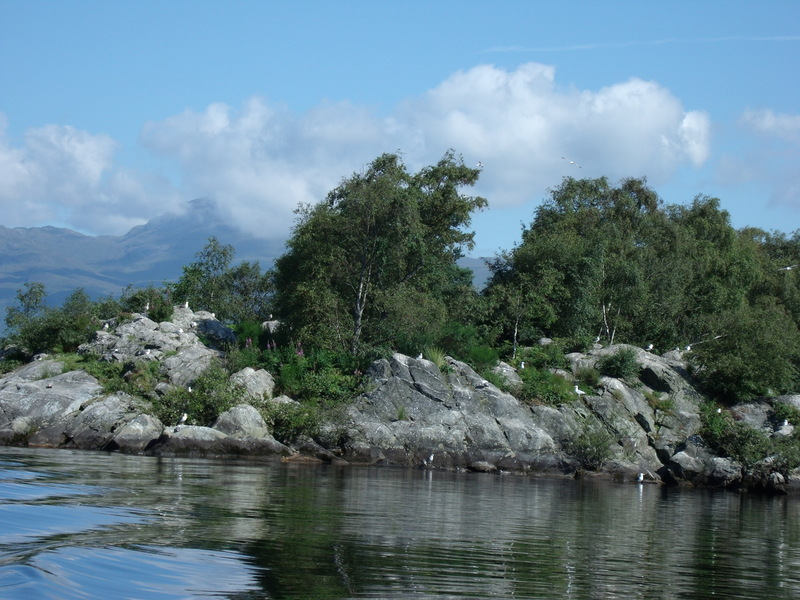 In ‘Islands And Their Stories’, another lochsplus posting, I give the fascinating history and facts about these two islands and The Narrows. I will supply a link at the bottom of this page. 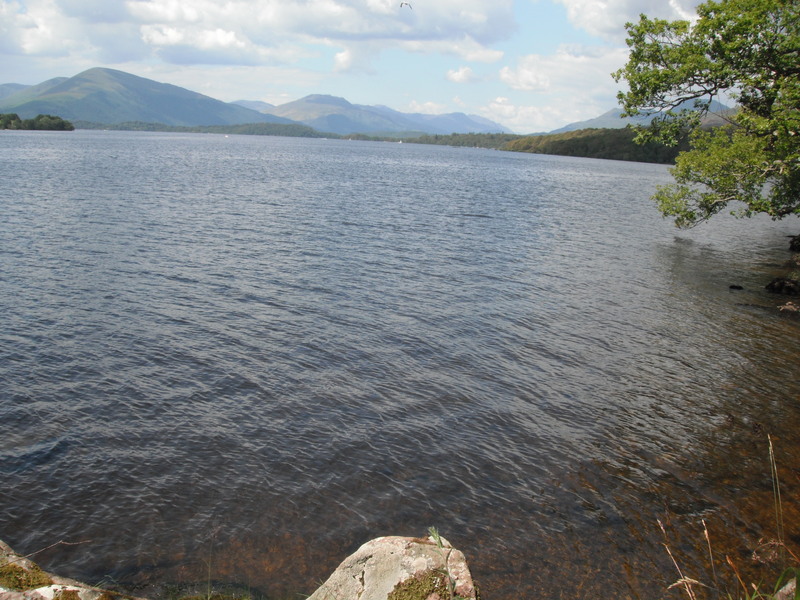 The photos above show Loch Lomond at its very best, when it not only looks good but is easily accessible. The old woman in question lived on the island in 717A.D. She was an Irish Christian missionary, later known as St. Kentigma. 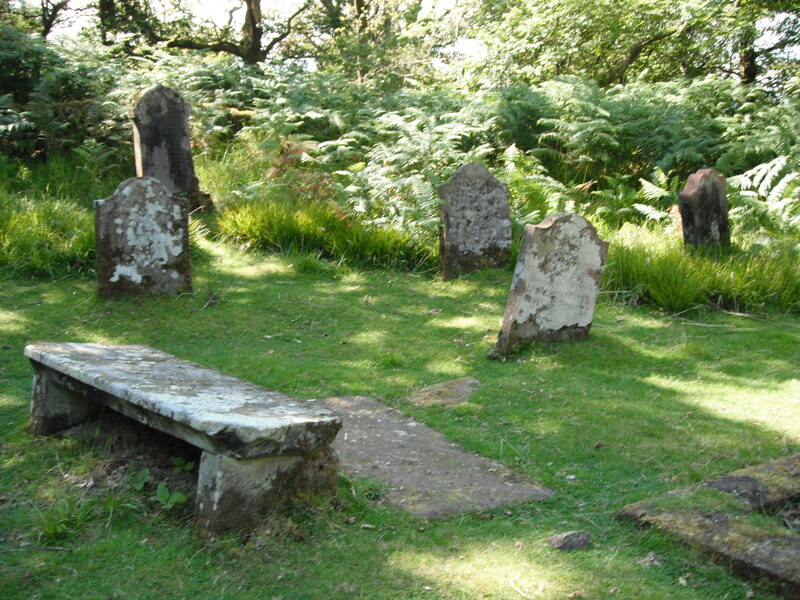 Much later, around the 13th century, a church was built on the island in her memory. 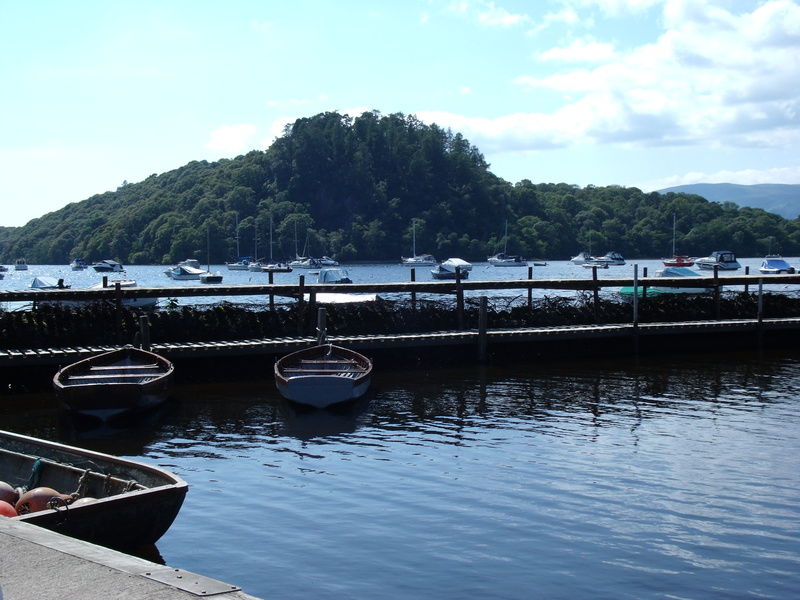 Worshipers from the mainland rowed accross the half mile stretch of water from Balmaha each Sunday for the next 500 years. 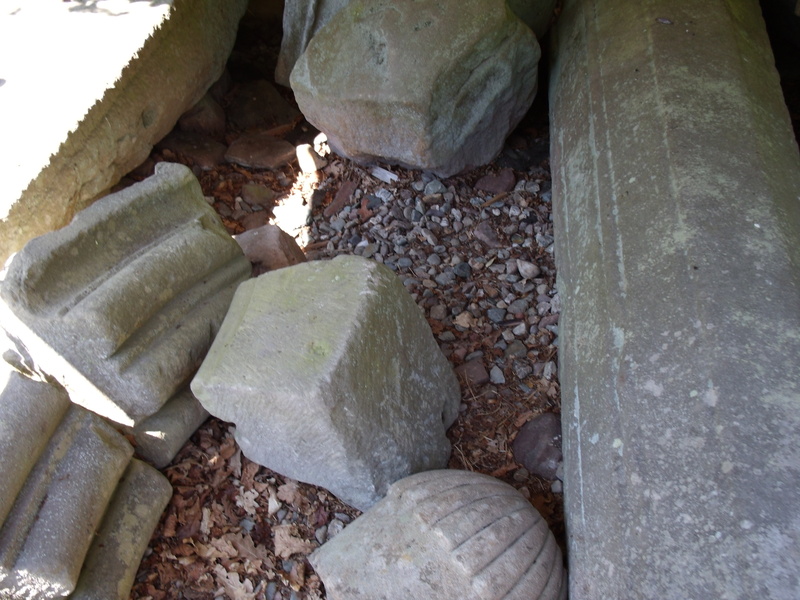 I have given a full account of a later journey around and over Inchcailloch in the posting, ‘In The Steps Of The Old Woman – a journey back in time.’ It contains a plethora of historical facts and true stories along with images of the spectacular scenery and many ancient ruins on the island. I will supply a link to that site at the bottom of this page. five tiny cignets. When I was last there, it was noisy with the sound of seagulls, but this time, perhaps because of a greater number of people, there were none around. The swan family and I were in a space of total stillness. With the sun blanking out my camera screen, my aim was off now and then. The following still makes for a charming record of the moment. Lomond Princess: For anyone wondering what kind of craft I was sailing in, here it is. 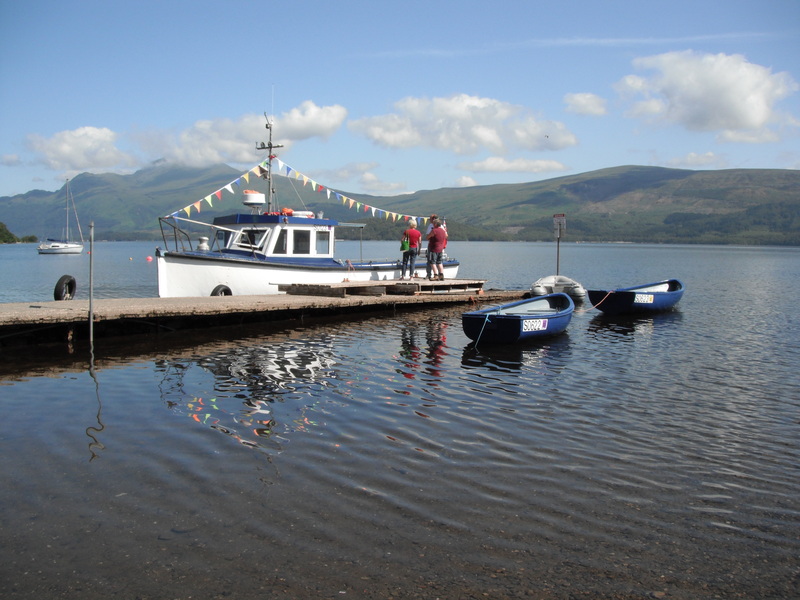 I got this picture from the website of the company that runs this and several other tour boats on Loch Lomond and beyond. This one was built in 1973 by H. McLean, Renfrew, with engines by Perkins Marine Diesels, Peterborough. For those who are speak boat language, the specs say – Propulsion: Diesel M6cy 95bhp 9.5kn. Tonnage: 39grt 37nrt. Length: 54ft. Breadth: 16.1ft. 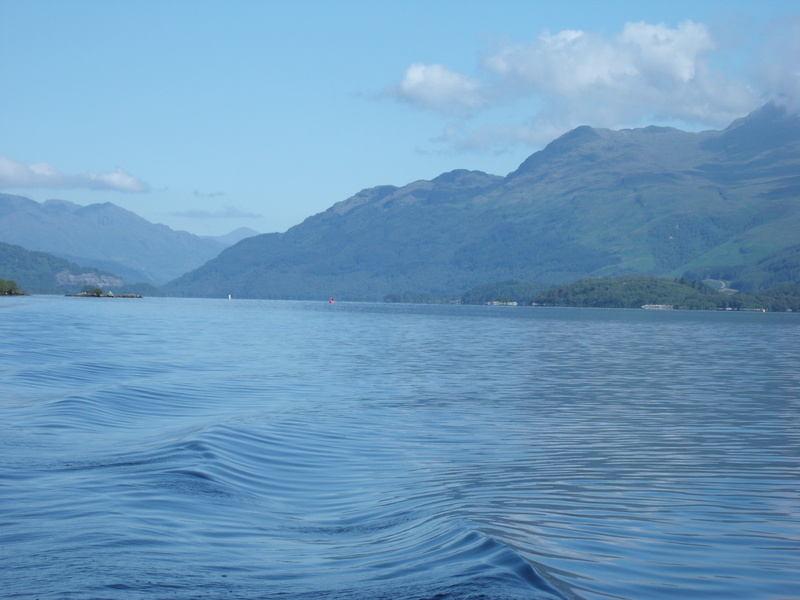 On a sunny afternoon in July, I sailed from Luss on the independently operated Lomond Lass. What this little boat lacks in sophistication, it makes up for in charm. After boarding by climbing over the rail and down a small, household stepladder, we set off to cruise round some of the islands on Loch Lomond. Unfortunately, most of my efforts as a photographer were dismal failures this time, but I’ll do it again on a day when the sun shines and get the parts I missed. I did, however, get enough to show that, while only a half hour trip, it is still a wonderful experience and something I wouldn’t have missed. Fraoch Eilean means ‘Heather Island’. I think of it as ‘Island of Birds’ since it seems to have developed into a bird sanctuary. 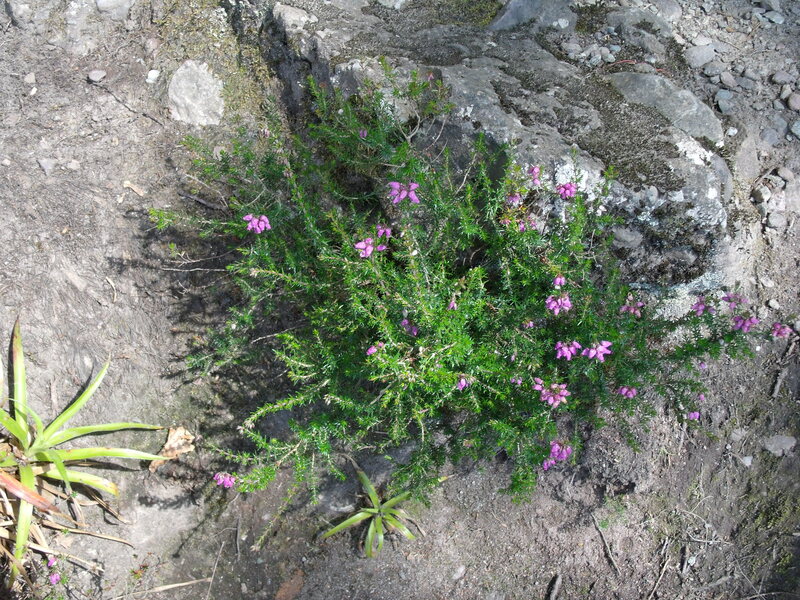 However, when the heather is in bloom, it earns its name. It is also often referred to as Inchfrielechan which is possibly derived from Inch-FraochEilean, meaning island-heather island in two languages – Scots and Gaelic. Old maps show this island as ‘Luss Prison’ and at one time it was a place of banishment for nagging wives. Barnie the barnowl sits atop the wheelhouse and does a great job of keeping seagulls away. 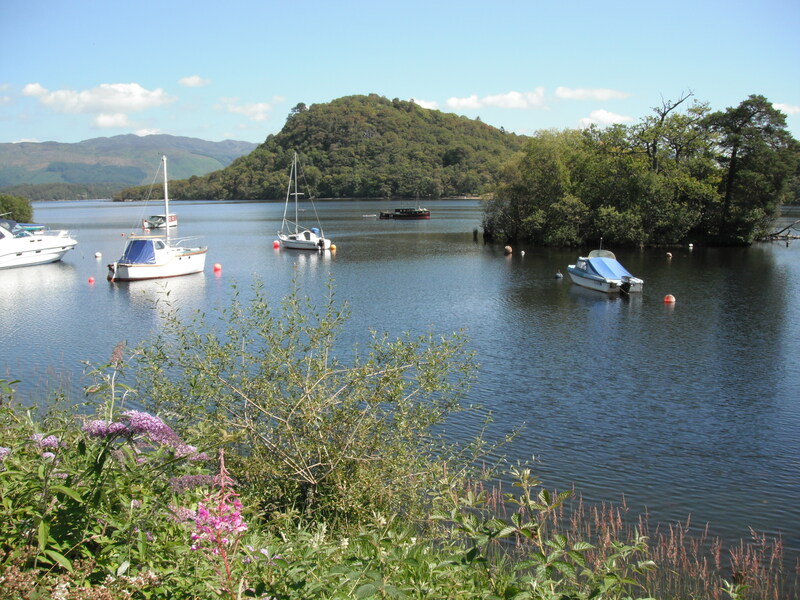 Both these boat trips took me on a round trip from Luss, on the west side of the loch, to Balmaha, on the east shore. 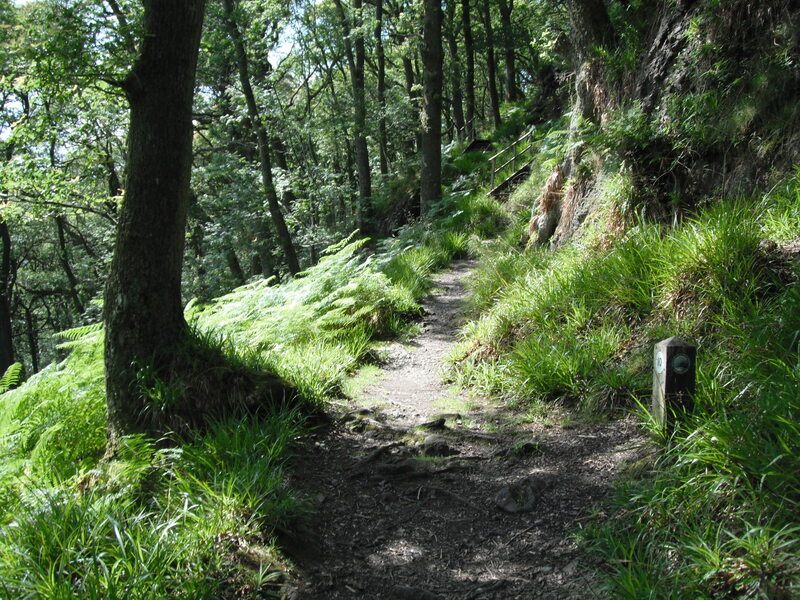 On another lovely summer day, I took a bus to Balmaha and hiked a short way along the West Highland Way. 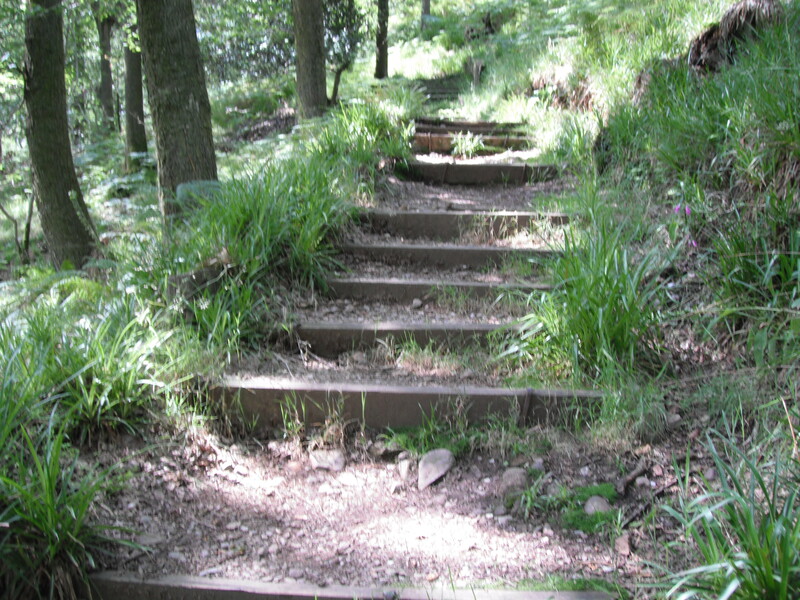 The trail here is rocky but not difficult to negotiate. 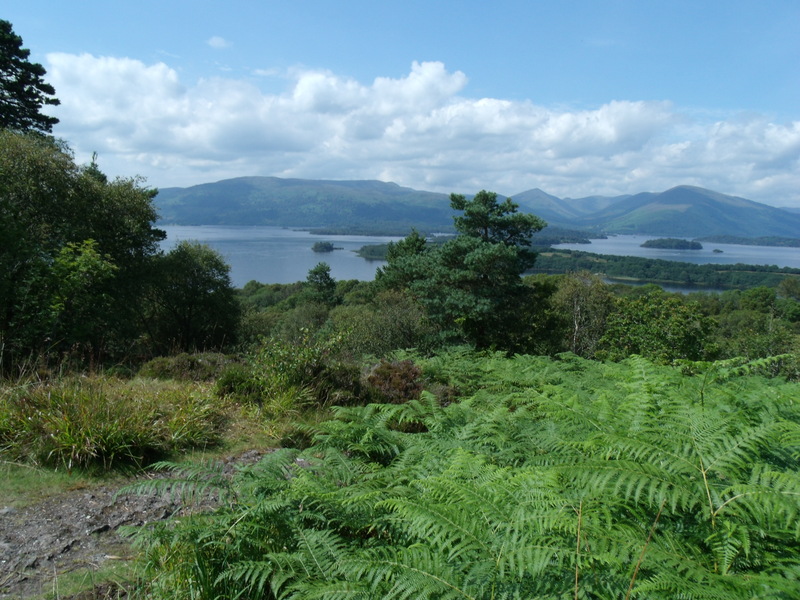 Sitting on the Highland Boundary Fault, as it does, Balmaha is unique with a rich and fascinating history. 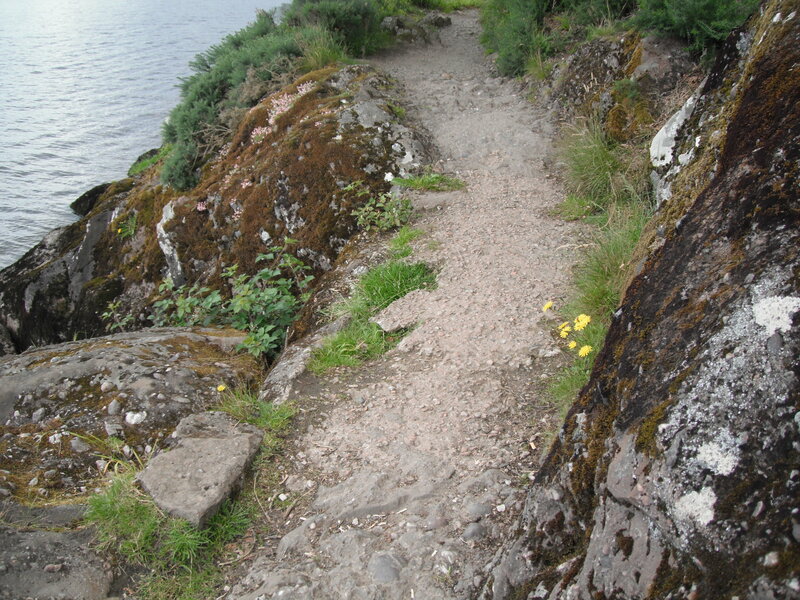 From the pier where this this trail picks up, one can look left to the lowlands or right to the highlands. I was walking on the highland side when I took the trail pictures. 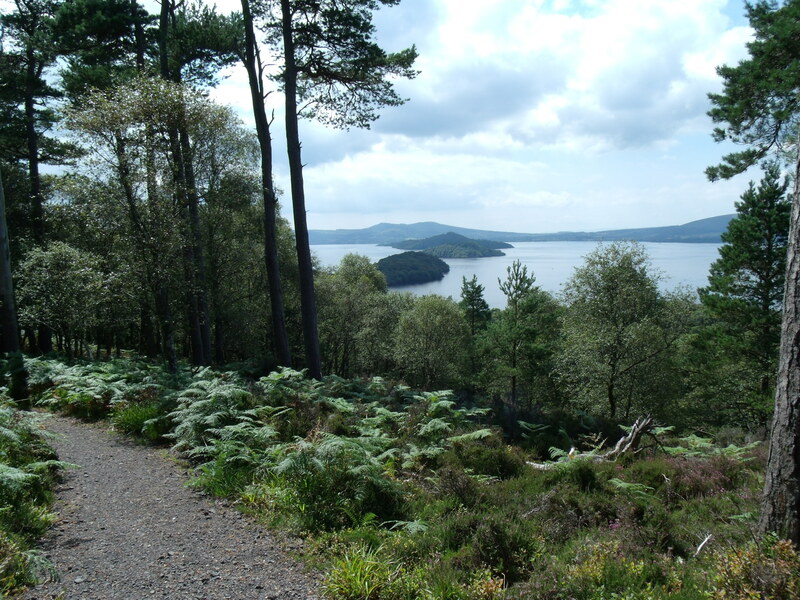 For anyone who wishes more information about the geological fault,go to the sidebar, top left of the page, and, under Highland Boundary Fault, click on Loch Lomond and Stirling – The Highland Line. This gives you a site with a wealth of information without being beyond the grasp of non-geology students. 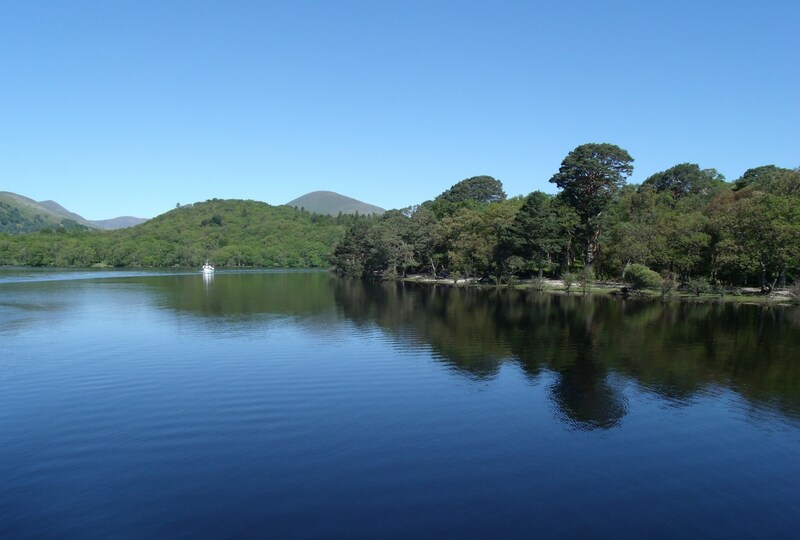 On another July day I took a bus to Luss and, from there, walked to Alduchlay. I went in search of a statue in the loch, reported to be near there. I found it at Bandry Bay, a short distance along the shore. 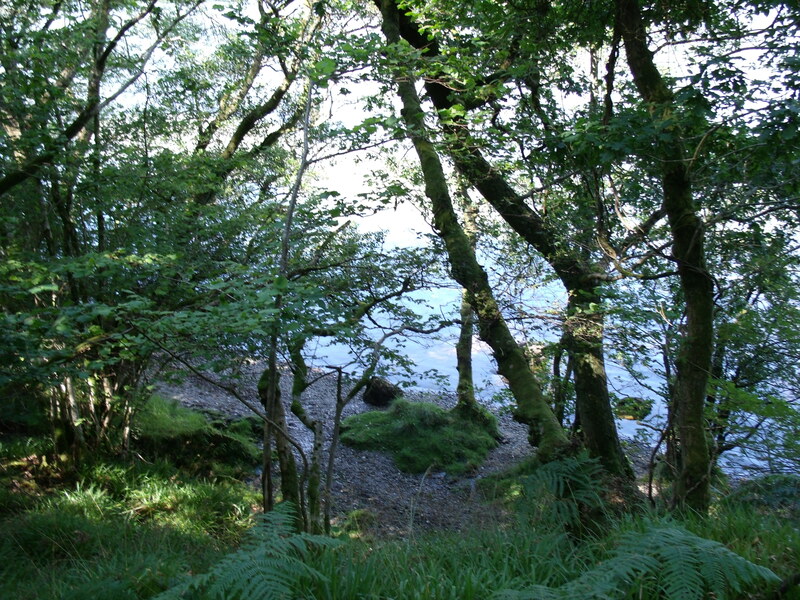 My account of that discovery along with all the information I found about the area – it’s ancient history both saintly and bloody, is posted in an article called ‘Finding Wee Peter: Inchtavannach and Bandry Bay – the stories’. I will supply a link at the bottom of this page. 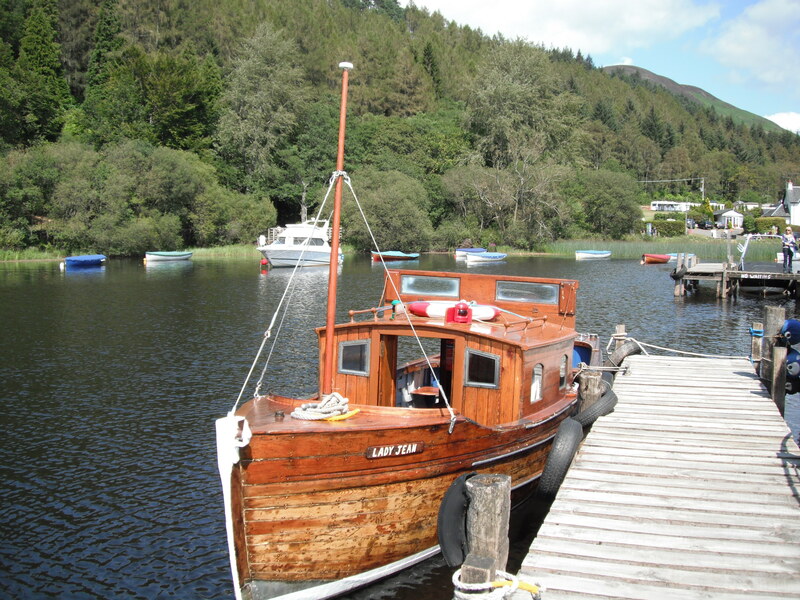 In August, I once again traveled by bus to Balmaha and, from McFarlanes’s boatyard, sailed on the ‘Lady Jean’ to Incailloch. I have posted a long and detailed account of my adventure, complete with photos and videos plus much historical information. I’ll give a few sample images below, and provide the link to ‘In The Steps Of The Old Woman – Inchcailloch, A Journey Back In Time’ at the end of this page. For the complete, detailed, fascinating stories touched on here, click on the links below.